Please join for another insightful and meaningful Mench Club on Thursday, April 11th. You will enjoy a thought provoking discussion, some good laughs, fine single malt whiskey and if you so wish a cigar. Report back from the Mench Club Israel Trip and a discussion on the Kabbalistic meaning of leaving Egypt. You will leave with fresh new ideas to share at your family Seder. Feel free to bring a friend along!! 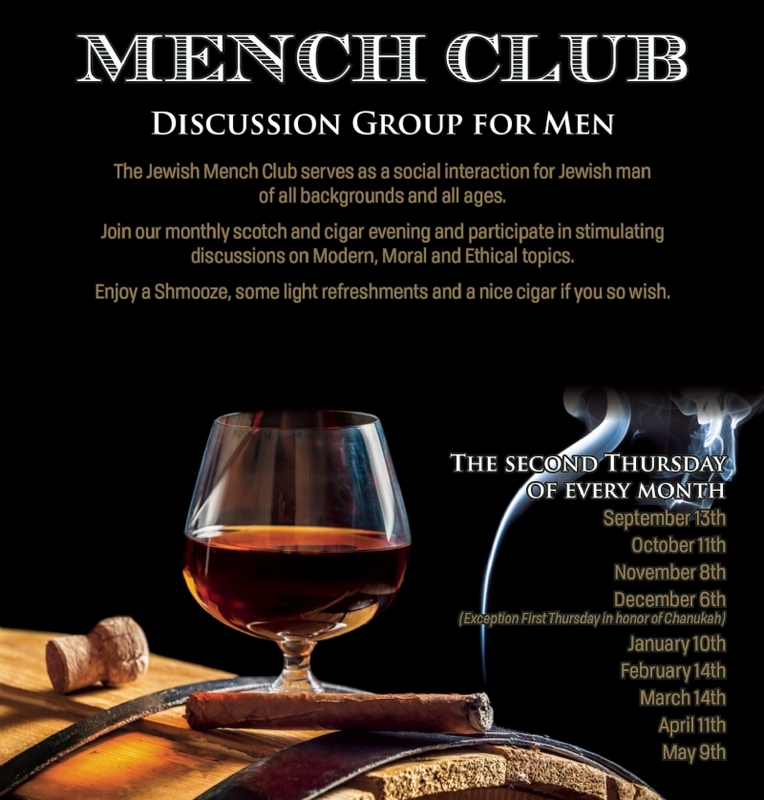 If you will be joining us, please e-mail our Mench club President Doctor Gabe at menchclub@chabadofwesthills.com so we can prepare accordingly.